Critics have called out the Kindle Fire (s amzn) for some of its hardware and software shortcomings, which is not unexpected for a new device but hasn’t seemed to slow sales. But a bigger concern is emerging for parents who are thinking of buying the Kindle Fire: it has almost no restrictions to prevent children from accessing inappropriate content or buy whatever they like on the device. Caryn Talty, a blogger with HealthyFamily.org, wrote about how she was able to access R-rated content on Amazon Prime Instant Videos, which is free for a limited time to new Kindle customers. She also noted that with one-click buying, which comes as the default option on the Kindle, users are not prompted to give a password with each purchase. “I wish Amazon would install parental controls for their devices so that movies which are rated “R” can be blocked on the Kindle Fire as easily as they can on AT&T Uverse (s t). We need to protect our kids from inappropriate materials online, and this includes electronic readers as well. Amazon should give Kindle Fire owners the option to install a 4-digit pin for content not appropriate for kids,” Talty wrote. It’s not just movies: The Amazon Silk browser also has no controls for access, so parents can’t disable it for children. In fact, all of the magazines, books and comic books can be purchased with one click. There is a screen lock for the device with a password but almost everything is accessible once inside. Amazon told Reuters earlier this week that it does provide controls for in-app purchases. But it’s still working on adding additional safety features. The company said it hasn’t had a problem with the way it sends devices pre-registered for one-click purchases. Apple (s aapl) has long had controls that allow parents to restrict access to iTunes, the App Store, Safari and YouTube. (s GOOG) And it installed new controls on in-app purchases after parents and some legislators complained about the ease with which children were making app purchases and buying items inside apps. Barnes & Noble (s bks)also requires users to confirm a purchase on Nook devices. Some of the problem is that Amazon is still on its first version of the Kindle Fire and it needs to patch up some rough spots on the device. 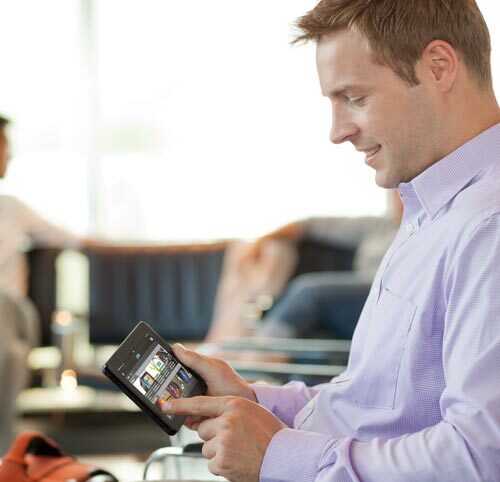 But it also comes down to the central philosophy of the Kindle Fire, which is basically a big store front for Amazon. Amazon expects to sell a lot of goods through the Fire and as we’ve seen already with the iPad, tablets making very good shopping devices. That’s likely why Amazon is able to offer the device at such a low price with no profit, because it can make up for it on other transactions. Amazon’s trademark one-click checkout is part of the appeal for many consumers and it’s made some of my purchases easier on the Fire. But I’ve also caught myself a little worried that it’s actually too easy to buy something on the Fire. That can be bad for parents with children or people with bad impulse control. I think Amazon needs to come up with more controls quickly. It may not be an issue with most consumers, but at the price the company is pitching it at, the Kindle Fire has a chance to be the first tablet in a lot of homes. 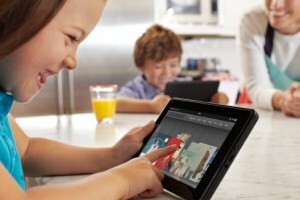 Consumers want to feel safe handing their children a Kindle just as much as an iPod Touch. But it needs to come with more safeguards. I’m sure Amazon is working on this, but it would have been better to ship with those controls in place to show that it cares not just about selling but also respecting the different needs of its users. Amazon is still going to sell a boatload of content legitimately on the Fire, but it doesn’t need to invite an uproar when parents find their children doing far more with their new tablet than they’d like.